Ever lose track of all those Mercury, Gemini, Apollo, Skylab, and Shuttle missions? 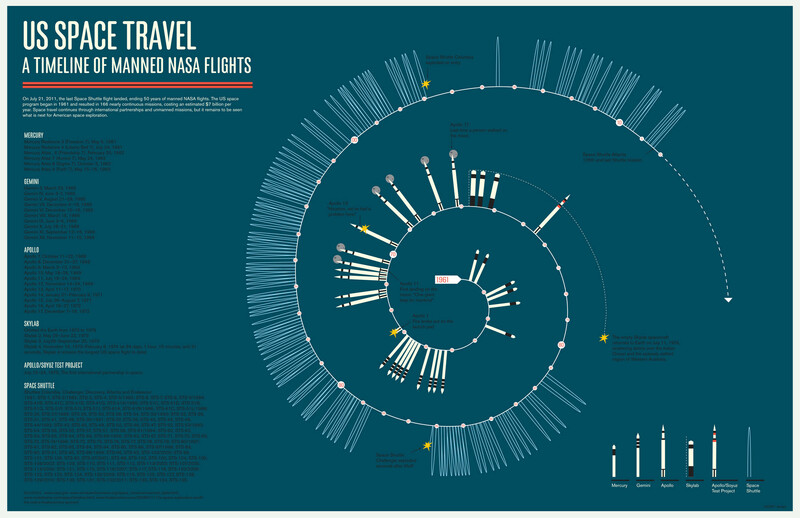 Never be confused again with this all-in-one timeline of NASA manned spaceflight, courtesy of MGMT. design. Click below to see it in its full glory.